Welcome to Mockingbird Hill Farms! In the 1950's my great uncle H.H. 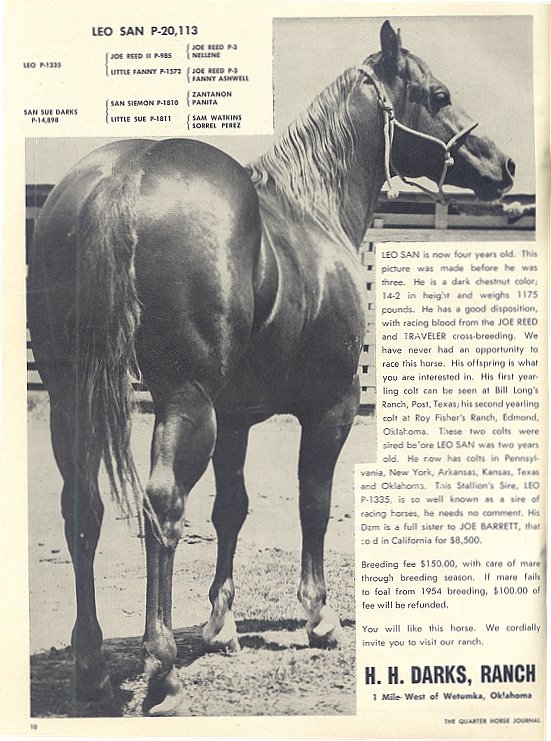 Darks, From Wetumka, Oklahoma, bred a mare named San Sue Darks to a stallion named Leo. The future Hall of Fame horse was Leo San. Little did he know he was making history in the quarter horse world. 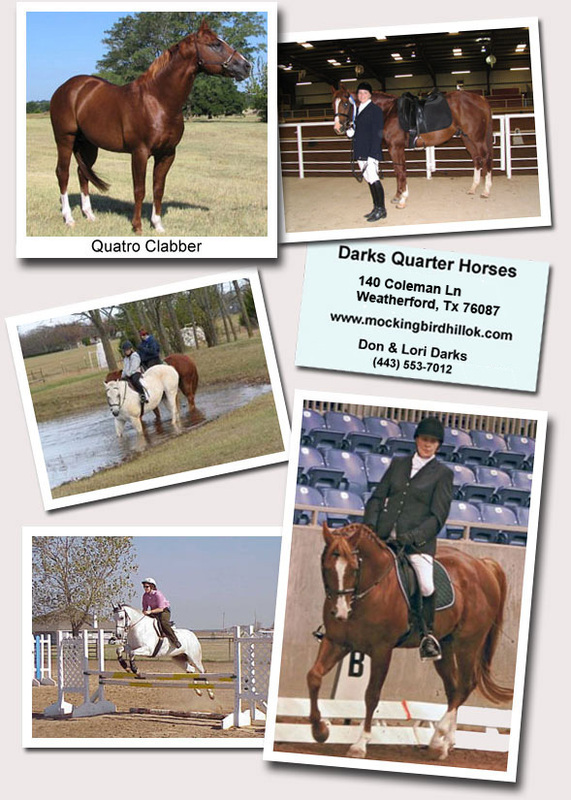 Darks Quarter Horses is producing some of the finest Quarter Horses in the world. We strive to continue the tradition with quality bred, smart, athletic and well tempered horses. Whether you are interested in cutting, reining, barrel racing, roping, trail riding or dressage we have the horse for you. Dressage is a new discipline being introduced to the American Quarter Horse. The quarter horse has power, agility and temperament. The versatility of the horse will now be demonstrated through the classical training and athleticism more commonly known today in European Warmbloods and Spanish bred horses. © 2019 Mockingbird Hill Farm. All Rights Reserved.